By 2030 all the 24 hours Le Mans race will be contested by all-electric cars, and the historic circuit could even have integrated inductive charging strips to help keep vehicles charged throughout the race. In the images above is the vision of Jereon Claus and Fabian Brees, two Belgian designers who have conceptualized what Tesla's entry to such a race could look like. 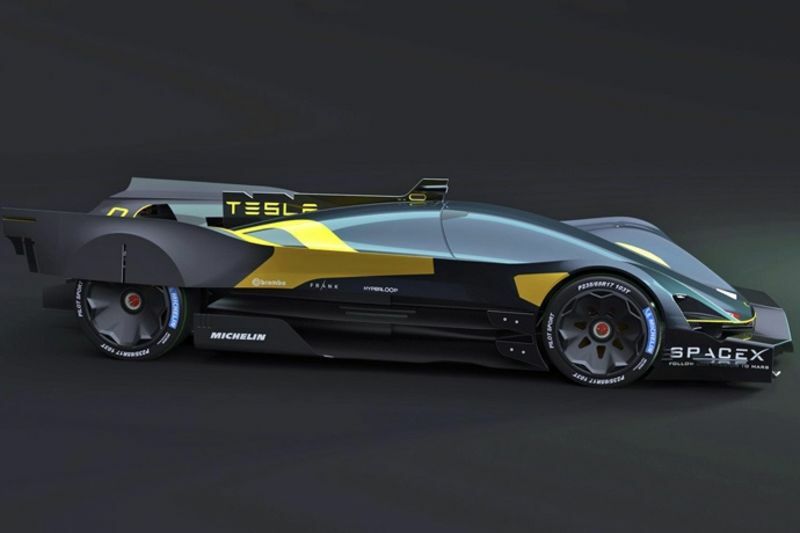 The two designers constructed the realm in which this Tesla electric racer concept could exist, with charging strips embedded in the track to provide a recharge during each lap. As part of the Michelin design challenge, Claus and Brees included the tire manufacturer's technology in the form of a 'tweel', an airless tire/wheel concept. The team propose the 3D printing will overcome production challenge to make the 'tweel' a practical reality, while they forecast that the Le Mans Tesla will tear down the race track at a top speed of 453 km/h. The futuristic concept tucks the driver inside safely, where they drive using an augmented reality system. Spectators at home can even experience the same view as the driver using their own virtual reality devices, underlining the connection between the driver and fans.